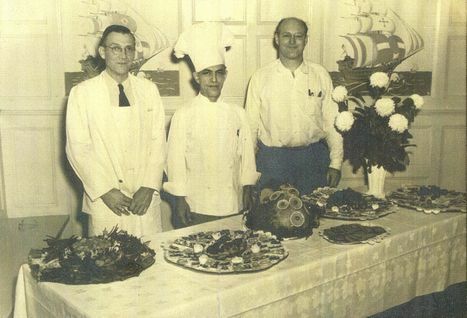 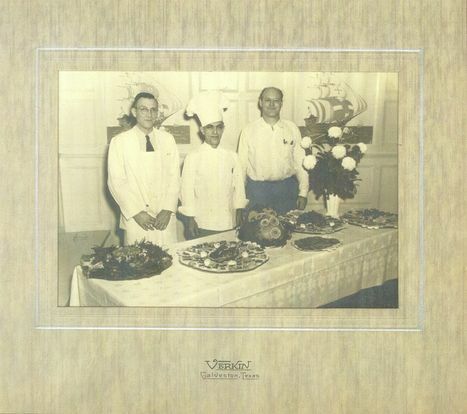 Historic hotel photo of Executive Chef Ellis Dilton (1940 to 1950) during Thanksgiving Brunch. 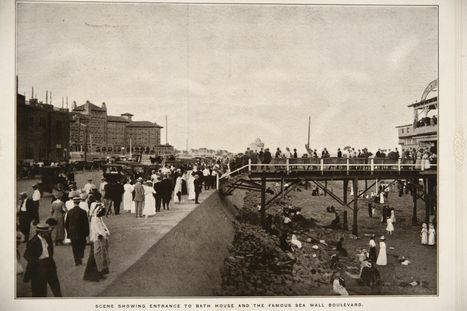 Photo courtesy of Pauline Dilton McRae. Historic hotel photo of Executive Chef Ellis Dilton during Thanksgiving Brunch. 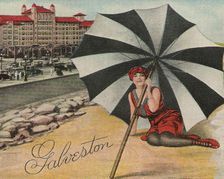 Dilton was Ex. 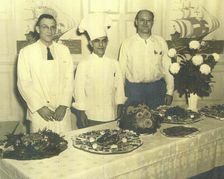 Chef from 1940 to 1950. 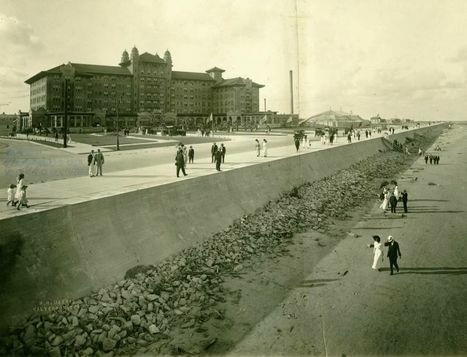 Photo courtesy of Pauline Dilton McRae. 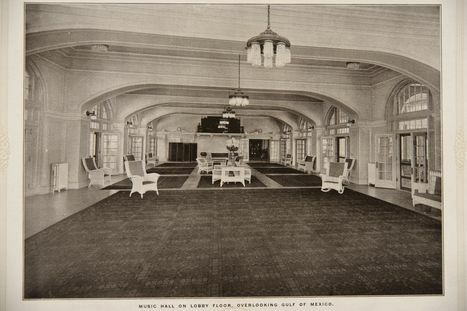 The original Peacock Alley no longer exists in the hotel. 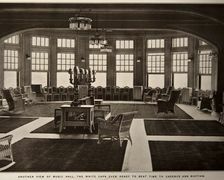 Over the years, the space has been absorbed by the parlors. 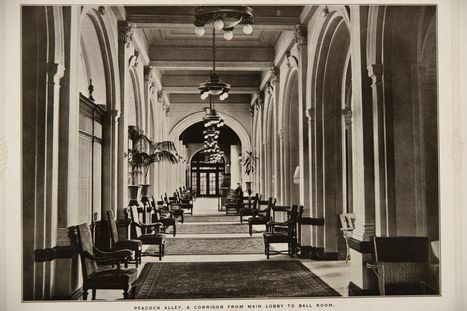 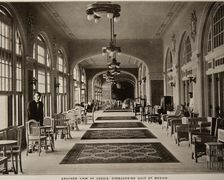 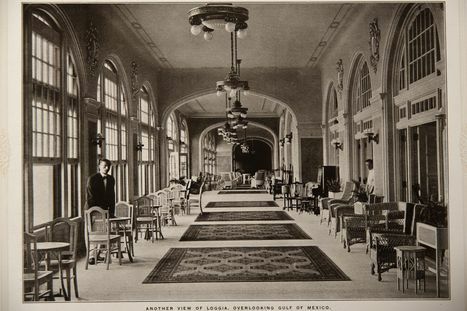 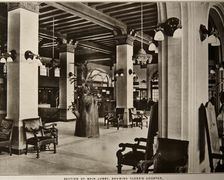 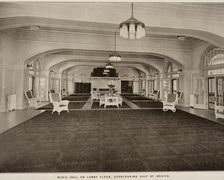 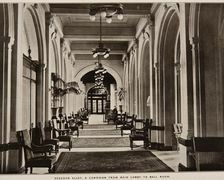 In 1911, the hotel's lobby featured a beamed ceiling of mahogany with square columns with bronze capitals. 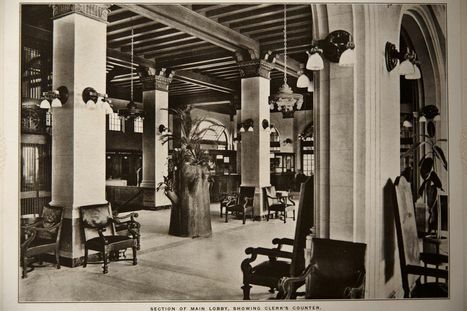 The lobby still features the original ceiling and columns. 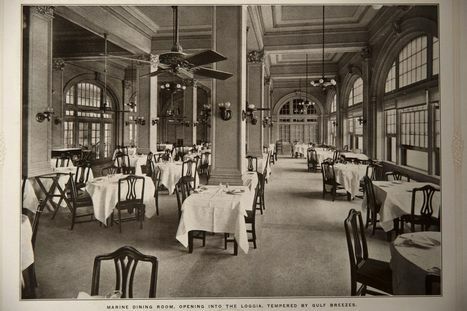 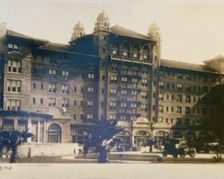 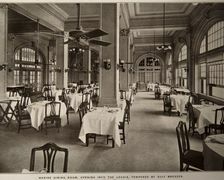 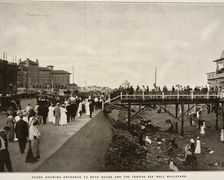 In 1911, the Hotel Galvez restaurant was known as the Marine Restaurant. 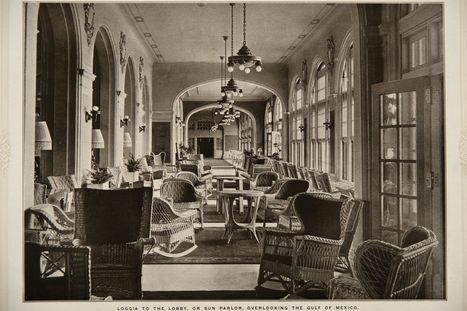 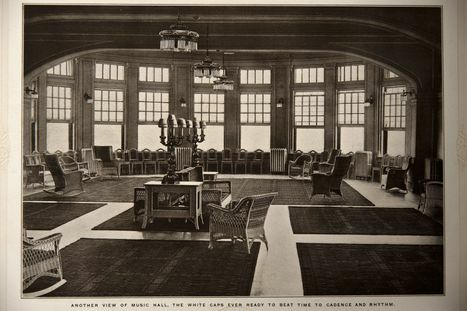 In 1911, Hotel Galvez’ loggia featured numerous wicker rockers for guests overlooking the Gulf of Mexico. 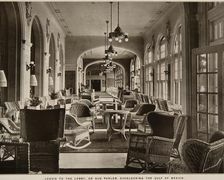 The loggia of Hotel Galvez offered tables for two for guests to write letters or play games. 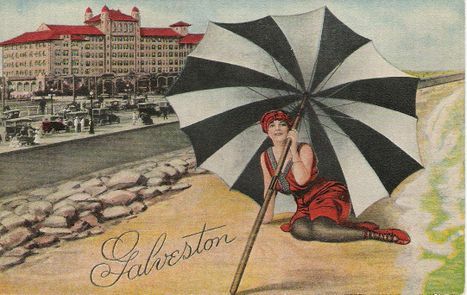 The Music Hall of Hotel Galvez has been the site for various weddings, balls and meetings since 1911. 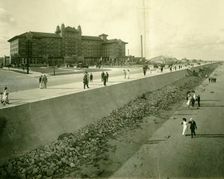 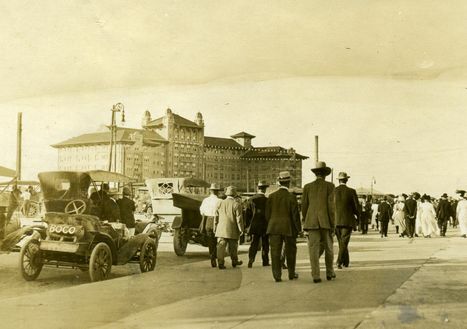 The Hotel Galvez Music Hall offers Gulf views and archways in 1911 and still has the same look. 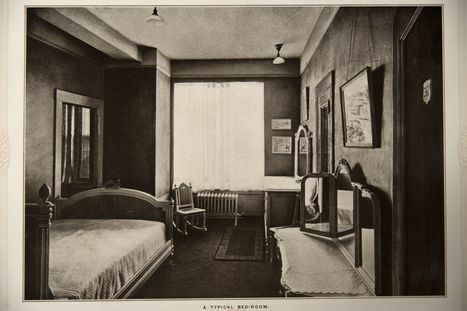 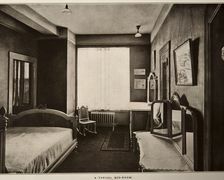 A Hotel Galvez typical bedroom in 1911 was quaint and simply furnished. 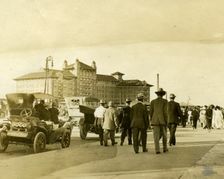 Photo Credit: Courtesy of Galveston County Historical Museum.